When it comes to wearing headphones, what’s your heartbreaking story? Maybe it’s a long story to tell. If you’re using wired headphones listening to music in the front of the desk you will drag your MacBook, tablet or smartphone down to the floor when you stand up to leave after forgetting to take off the headphones. The headphone cord sweeps the desktop and makes an accident happen to your device. If you are exercising on the treadmill wearing wired headphones, you could be tripped up by the headphones cable if you forget to pick them up after finishing your exercise. For the sake of removing the annoying experiences above you can replace wired headphones with wireless headphones. If you wear a pair of ordinary wireless headphones to join in a dance party, you would find out that you left a right or left earpiece at home. 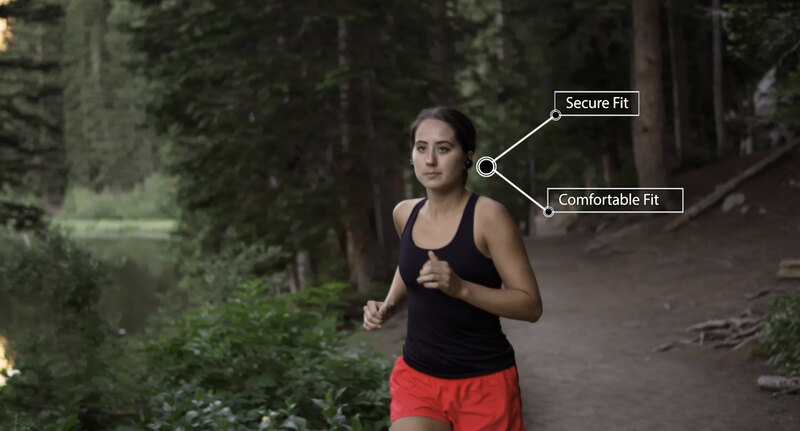 So could you listen to music without worrying about an earpiece falling out? Of course! What you need is a pair of quality wireless headphones with an ergonomic design that ensures the earpieces will never fall out again. For instance, Tronsmart Encore Spunky Buds Wireless Headphones. 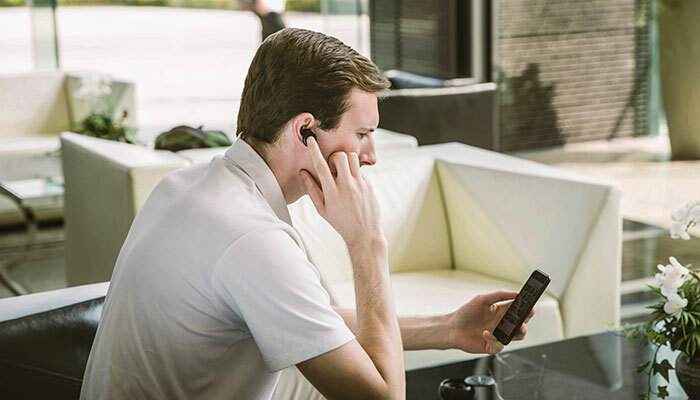 When you wear Spunky Buds True Wireless Headphones you could leave your seat without dragging your device down to the floor like you would if wired headphones. You could leave the treadmill without accidentally tripping up the headphone cord, and you can sprint, run, play or skateboard outside without worrying about an earpiece falling out. 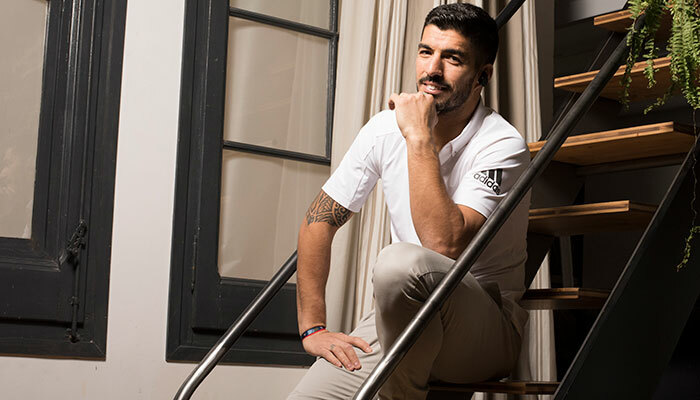 Luis Suarez, one of the best strikers in world football chooses Spunky Buds to listen to music for relaxing. Free from wires, free from stress. For the most of wireless headphones, you need to hold the power button for a few seconds to turn it on when you would like to answer a phone call during driving or when listening to music on the way to the work that does not provide a good experience for you. 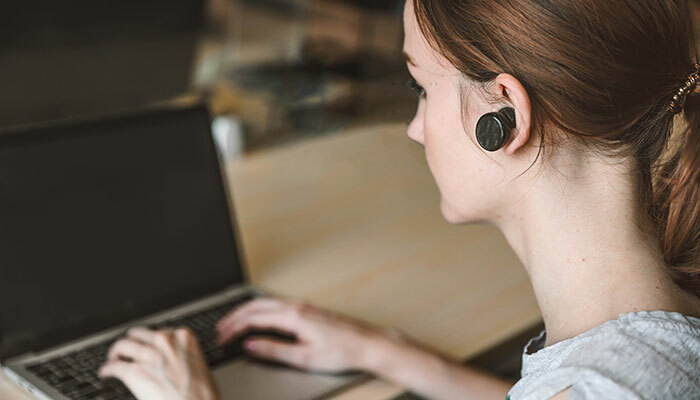 Tronsmart’s Spunky Buds feature auto-pairing that automatically pairs the earpieces to your smartphone or other Bluetooth devices. You simply need to take out the two earpieces from the charging case for this to happen, meaning you’re ready to go in seconds! So you could answer a phone call quickly and safely while driving a car and enjoy your favorite songs to start another energetic working day. With Spunky Buds you can enjoy music at any time within seconds. Tips: You need to connect the headphones with your device manually the first time. After connecting successfully, it can auto-connect after taking the earbuds from the charging case. 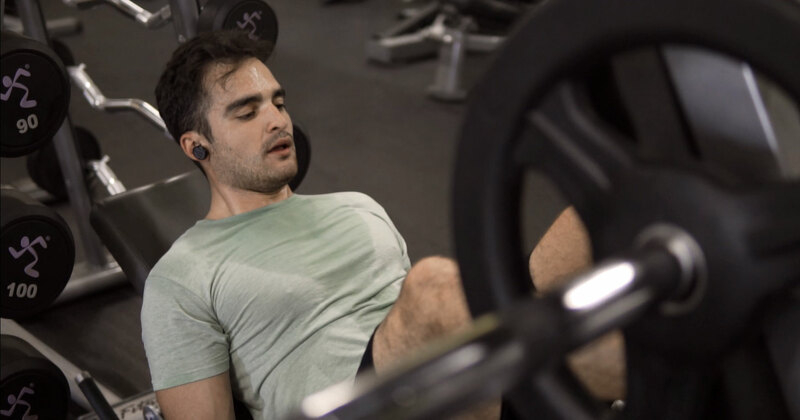 It’s common for you to sweat during exercise so if your wireless headphones cannot protect themselves from any sweat you could only use the headphones for 30mins. But if you wear Spunky Buds earphones, they are rated IPX5 water-resistance which means it can protect your headphones from rain, splashes and sweat. Spunky Buds are built for an active lifestyle. If you found out that there is only one earbud left after dancing with friends or showing off your skateboard skills outside, what would you do? Buy a new pair of wireless headphones? You can, but that can get expensive. Instead, you can try Spunky Buds with their ergonomic design that ensures they stay comfortable in your ears without falling out. You can run, jump, dance or spin without worrying about losing either of them. Spunky Buds sit still in your ears comfortably. In addition, intuitive gesture controls allow you to listen to music and answer phone calls on the go without taking out your smartphone. Simply tap once on either earpiece to pause and play, tap twice to play next track, tap left earpiece to answer and hang up the phone calls and tap twice to reject the phone calls. When you decide to own a pair of wireless headphones you will find out that there are many choices on the market focusing not only the cost but also the performance. If you would like to choose a pair of budget headphones, Spunky Buds is your other choice. 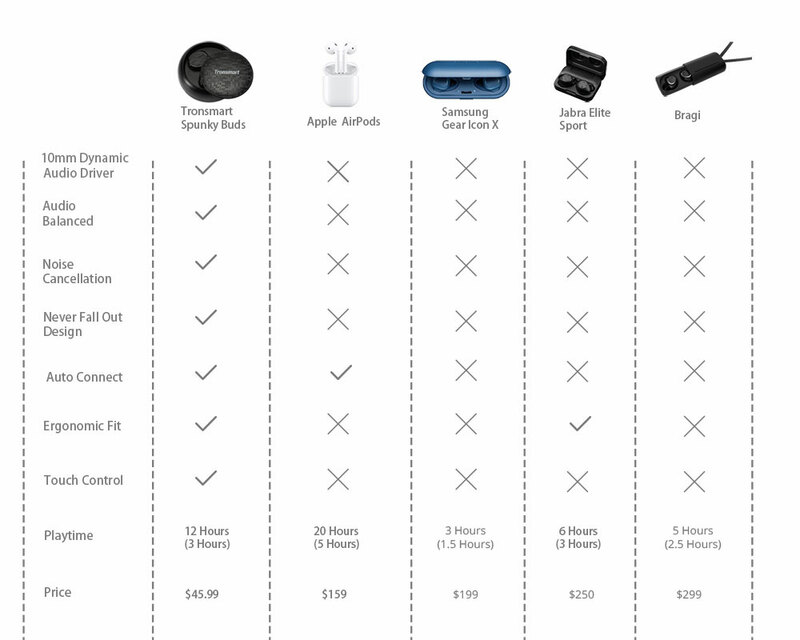 Compared to other famous wireless headphones, Spunky Buds still possess their quality features. It’s a good budget alternative to AirPods. In addition, Spunky Buds have up to 3.5 hours of playtime with a stylish portable charging case to charge the earpieces anytime, anywhere. Do not worry about the battery going low or completely flat while going out again with the charging case that provides up to 12 hours of playtime. 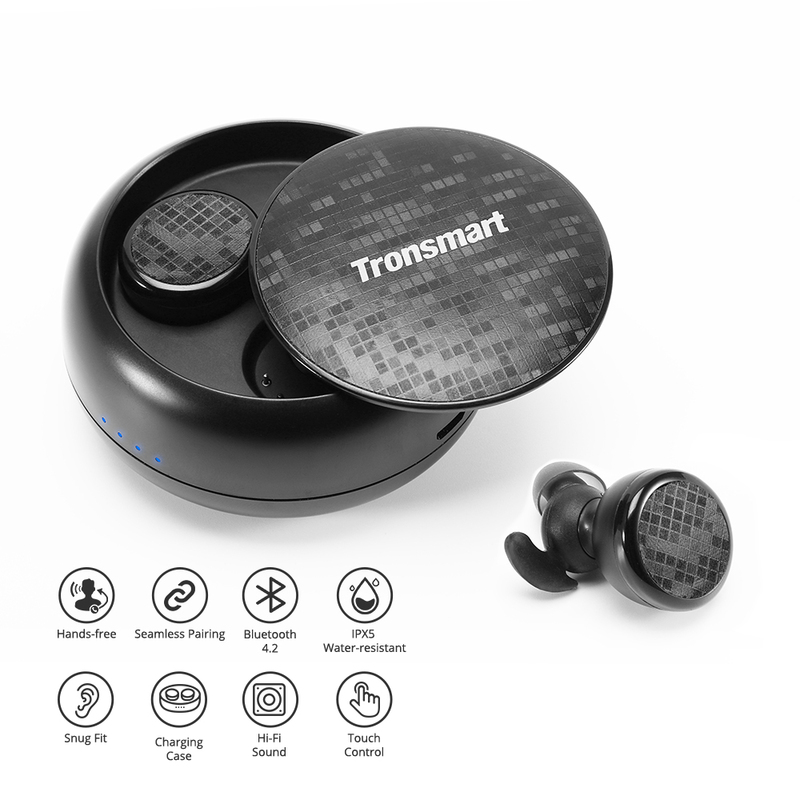 Tronsmart Spunky Buds can be your perfect companion while traveling outside, cleaning the house, driving a car, walking home after a hard-working day or doing exercise to keep fit. Live in music, love your life.